DERRY manager Damian Barton will be banned from the sidelines for the rest of the Oak Leafers’ National League campaign. 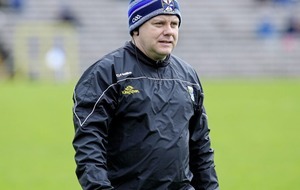 The eight-week ban was handed down by Ulster Council as a result of Barton’s involvement in an on-field melee during his side’s McKenna Cup final defeat by Tyrone. Tyrone defender Cathal McCarron has also been handed a one-match Dr. McKenna Cup ban following his part in the melee, which he did not appeal. Barton was due to have an appeal heard on Tuesday night but that was withdrawn, meaning that the ban comes into effect. 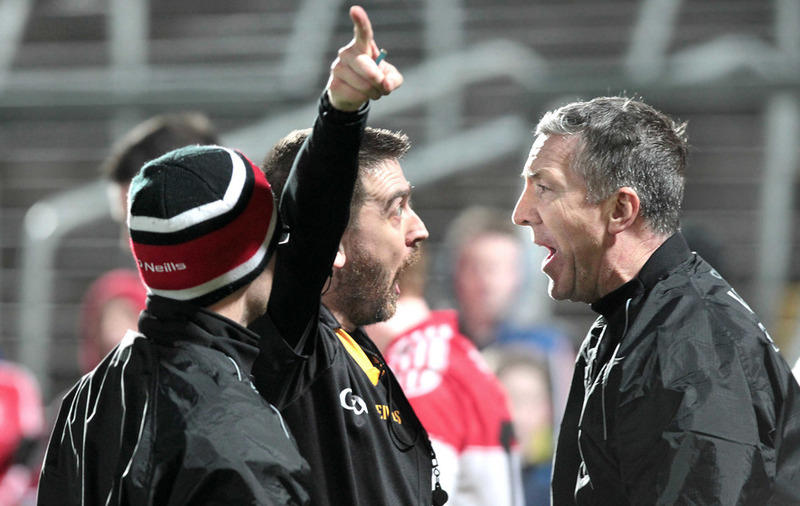 The suspension was initially handed down shortly after the McKenna Cup final, but Derry requested a hearing which took place just over two weeks ago. 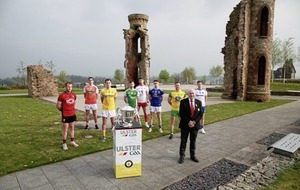 Ulster Council’s hearings process upheld the ban, and the Derry manager decided not to proceed with the scheduled hearing with the Central Hearings Committee this week. With the ban not set to expire until midnight on Sunday 3 April, he will be banned from the sidelines and changing room for his side’s remaining five National League fixtures. However, he will be able to travel to games with the team and communicate with his management team from the stand during games.